LIQUIDATION: Fresno CA Area Store Fixture Liquidation Starts 4/5/19. On-site Sale Opens to the Public at NOON on FRIDAY, April 5, 2019. HURRY IN, On-site Sale Open to the Public NOW. On-site Sale Opens to the Public at NOON on FRI. April 5, 2019. HUNDREDS of fixtures & equipment MUST GO, including Gondola Store Shelving, 2 AND 3-door Commercial Self-contained Stand-alone COOLER & FREEZER Refrigerated Merchandisers, Rx Pharmacy Shelving, Check-out Counters, Candy/Snack Impulse Racks, Back Room Shelving & Equipment, Stock & Price Carts, Employee Break Room & Office Furniture, Rx Pharmacy Counters, Rx Pharmacy Security Gates, Store Cash Safe, Miscellaneous Display Fixtures, MORE. CLICK HERE to view DINUBA CA (Fresno/Visalia CA area) Store Fixture & Equipment Liquidation PHOTO BROCHURE. STATUS: On-site Sale Opens to the Public at NOON on FRI. April 5. ADDRESS: 2200 EAST EL MONTE WAY, DINUBA CA 93618. ON-SITE SALE HOURS: After NOON start time on FRI. April 5, sale is open to the public from 9am-7pm MON.-SAT., 10am-4pm SUNDAY. MARKET AREA: Fresno/Visalia CA Area. CALL: (800) 676-7042 x110 OR subscribe to email alerts for updates on upcoming locations. HUNDREDS of fixtures & equipment MUST GO, including Gondola Store Shelving, 2 AND 3-door Commercial Self-contained Stand-alone COOLER & FREEZER Refrigerated Merchandisers, UNIWEB Rx Pharmacy Shelving, Rx Pharmacy Counters, Rx Pharmacy Security Gates, Check-out Counters, Candy/Snack Impulse Racks, Back Room Shelving & Equipment, Stock & Price Carts, Employee Break Room & Office Furniture, Rx Pharmacy Counters, Store Cash Safe, Miscellaneous Display Fixtures, MORE. 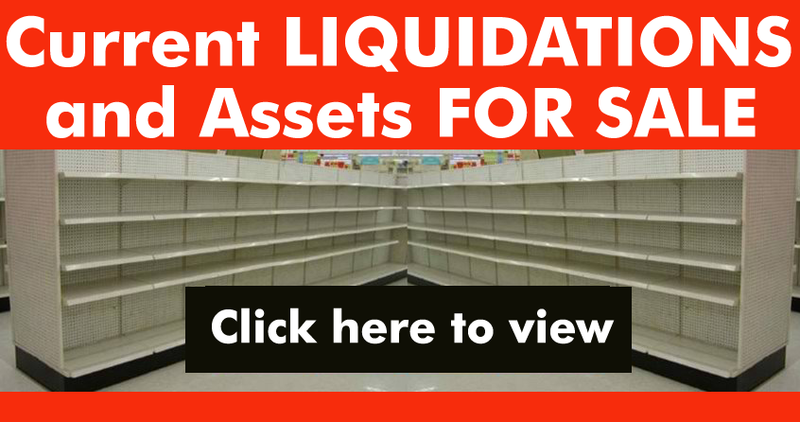 CLICK HERE to view SEATTLE WA Store Fixture & Equipment Liquidation PHOTO BROCHURE. STATUS: On-site Sale Opens to the Public at NOON on FRIDAY, April 5. ADDRESS: 802 Third Avenue, SEATTLE WA 98104. ON-SITE SALE HOURS: After NOON start time on FRI. April 5, sale is open to the public from 10am-7pm MON.-SAT., 10am-5pm SUNDAY. MARKET AREA: Seattle WA Area. CALL: (800) 676-7042 x150 OR subscribe to email alerts for updates on upcoming locations. This LARGE location has HUNDREDS of LIKE NEW fixtures & equipment that MUST GO, including LOZIER Gondola Store Shelving, Pharmacy Department with LIKE NEW LOZIER FLEX Rx Pharmacy Shelving (modern, view-through style) & Rx Pharmacy Counters & Rx Pharmacy Security Gates, Rx Water Filter System, RX Pharmacist Script File Cabinet, 24-door Reach-in Cooler & Reach-in Freezer (18 cooler doors and 6 freezer doors) with remote compressors, Open Beverage Cooler, Ice Cream Dipping Cabinet Freezers, Stainless Steel 4-compartment Sink, Stainless Steel Food Prep Sink and Counter, LIKE NEW Stainless Steel 3-door Commercial Freezers, Shopping Carts, Beautiful GNC Wood Display Shelving, Check-out Counters, Candy/Snack Impulse Racks, Back Room Shelving & Equipment, Pallet Rack/Pallet Racking & Wide Span Shelving, Stock & Price Carts, Employee Break Room & Office Furniture, Store Cash Safe, Miscellaneous Display Fixtures, Peg Hooks, Wire Baskets, MORE. CLICK HERE to view ELK GROVE CA (Sacramento CA area) Store Fixture & Equipment Liquidation PHOTO BROCHURE. STATUS: HURRY IN, On-site sale open to the public NOW. MARKET AREA: SACRAMENTO CA Area. ADDRESS: 9260 ELK GROVE BLVD., ELK GROVE CA 95624. ON-SITE SALE HOURS: On-site sale is open to the public NOW from 10am-7pm DAILY. CALL: (800) 676-7042 x145 OR subscribe to email alerts for updates on upcoming locations. AREAS: Other current/previous on-site sales in this multi-state project include locations in Alabama, California, Colorado, Delaware, Georgia, Kentucky, Louisiana, Massachusetts, Maryland, Michigan, New Hampshire, New Jersey, New York, North Carolina, Ohio, Oregon, Pennsylvania, Rhode Island, South Carolina, Tennessee, Utah, Virginia, Washington D.C./District of Columbia, Washington state. LIQUIDATION: Seattle WA Store Fixture Liquidation Sale Starts 4/5/19. On-site Sale Opens to the Public at NOON on FRI. March 29, 2019. On-site Sale Tentatively Opens to the Public FRI. April 5, 2019. STATUS: On-site Sale Opens to Public FRI. March 29 at NOON. ON-SITE SALE HOURS: Starting at NOON on Friday March 29, sale is open to the public from 10am-7pm DAILY. 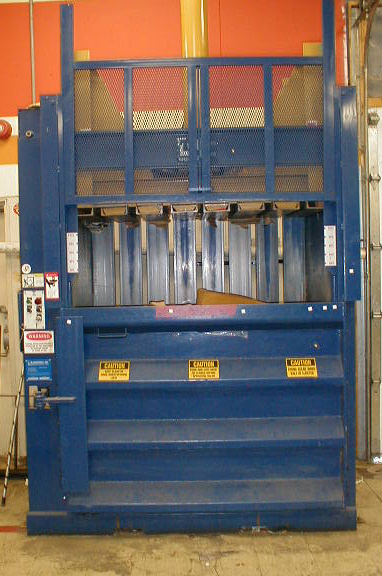 CLICK HERE to view FRESNO / VISALIA CA Area Store Fixture & Equipment Liquidation PHOTO BROCHURE. STATUS: On-site Sale Tentatively Opens to the Public FRI. April 5. ADDRESS: To be announced SOON. ON-SITE SALE HOURS: To be announced SOON. On-site Sale Opens to Public FRI. March 29 at NOON. On-site Sale Tentatively Opens to Public FRI. April 5. HUNDREDS of fixtures & equipment MUST GO, including Gondola Store Shelving, 2 AND 3-door Commercial Self-contained Stand-alone COOLER & FREEZER Refrigerated Merchandisers, Rx Pharmacy Shelving, Large quantity of Office Furniture (desks, chairs, file cabinets, credenzas), Beautiful GNC Wood Vitamin Display Shelving, Check-out Counters, Candy/Snack Impulse Racks, Back Room Shelving & Equipment, Stock & Price Carts, Employee Break Room & Office Furniture, Rx Pharmacy Counters, Rx Pharmacy Security Gates, Store Cash Safe, Miscellaneous Display Fixtures, MORE. FIXTURE & EQUIPMENT PHOTO BROCHURE will be posted SOON. STATUS: On-site Sale Tentatively Opens to Public FRI. April 5. 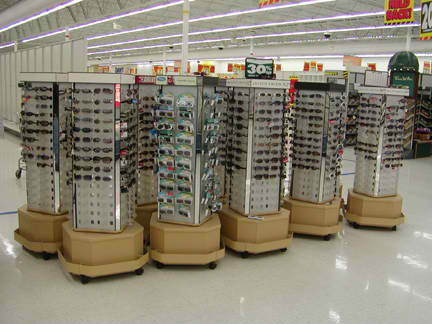 CLICK HERE to view SEATTLE WA Area Store Fixture & Equipment Liquidation PHOTO BROCHURE. ON-SITE SALE HOURS: 10am-7pm MON.-SAT., 10am-5pm SUNDAY. 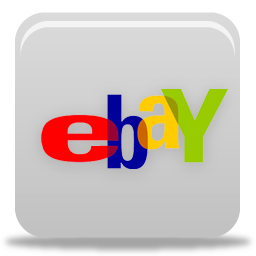 LIQUIDATION: SAN JOSE CA Area Store Fixture Liquidation STARTS SOON! On-site Sale Opens to the Public Mid-March for 7 DAYS ONLY. On-site Sale Opens to the SOON. HUNDREDS of fixtures & equipment MUST GO, including LOZIER Gondola Store Shelving, 2 AND 3-door Commercial Self-contained Stand-alone COOLER & FREEZER Refrigerated Merchandisers, Rx Pharmacy Shelving, Large quantity of Office Furniture (desks, chairs, file cabinets, credenzas), Beautiful GNC Wood Vitamin Display Shelving, Check-out Counters, Candy/Snack Impulse Racks, Back Room Shelving & Equipment, Stock & Price Carts, Employee Break Room & Office Furniture, Rx Pharmacy Counters, Rx Pharmacy Security Gates, Store Cash Safe, Miscellaneous Display Fixtures, MORE. 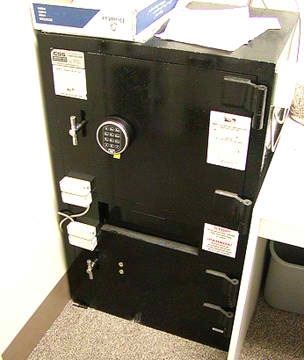 CLICK HERE to view SAN JOSE CA Area Store Fixture & Equipment Liquidation PHOTO BROCHURE. STATUS: On-site Sale Opens to the Public Mid-March for 7 DAYS ONLY. MARKET AREA: San Francisco/San Jose South Bay CA Area. ON-SITE SALE HOURS: 9am-7pm MON.-SAT., 10am-4pm SUNDAY. CALL: (800) 676-7042 x140 OR subscribe to email alerts for updates on upcoming locations. On-site Sale Opens to the Public SOON. This LARGE location has HUNDREDS of LIKE NEW fixtures & equipment that MUST GO, including LOZIER Gondola Store Shelving, Pharmacy Department with LOZIER FLEX Rx Pharmacy Shelving (modern, view-through style) & Rx Pharmacy Counters & Rx Pharmacy Security Gates, Rx Water Filter System, RX Pharmacist Script File Cabinet, 24-door Reach-in Cooler & Reach-in Freezer (18 cooler doors and 6 freezer doors) with remote compressors, Open Beverage Cooler, Ice Cream Dipping Cabinet Freezers, Stainless Steel 4-compartment Sink, Stainless Steel Food Prep Sink and Counter, LIKE NEW Stainless Steel 3-door Commercial Freezers, Shopping Carts, Beautiful GNC Wood Display Shelving, Check-out Counters, Candy/Snack Impulse Racks, Back Room Shelving & Equipment, Pallet Rack/Pallet Racking & Wide Span Shelving, Stock & Price Carts, Employee Break Room & Office Furniture, Store Cash Safe, Miscellaneous Display Fixtures, Peg Hooks, Wire Baskets, MORE. 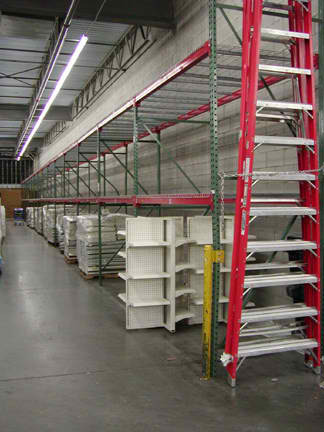 CLICK HERE to view SACRAMENTO CA Area Store Fixture & Equipment Liquidation PHOTO BROCHURE. STATUS: On-site Sale Opens to the Public SOON. IN PROGRESS, EVERYTHING GOES: 2 CALIFORNIA Store Fixture Liquidations! HURRY IN: OPEN to the PUBLIC NOW for 7 DAYS ONLY! HURRY IN: OPEN to the PUBLIC NOW for 7 DAYS ONLY. LARGE 20,000 square foot location with HUNDREDS of fixtures & equipment, including LOZIER Gondola Store Shelving, 2-door Self-contained COOLER Merchandisers, 3-door Self-contained FREEZER Merchandisers, Rx Pharmacy Shelving, Trash Compactor & Container, Check-out Counters, Candy/Snack Impulse Racks, Back Room Shelving & Equipment, Stock & Price Carts, Employee Break Room & Office Furniture, Rx Pharmacy Counters, Rx Pharmacy Security Gates, Store Cash Safe, Miscellaneous Display Fixtures, MORE. CLICK HERE to view SAN JOSE CA FIXTURE PHOTO BROCHURE. STATUS: HURRY IN: OPEN to the PUBLIC NOW for 7 DAYS ONLY. MARKET AREA: San Francisco South Bay CA Area. 6164 Bollinger Road, SAN JOSE CA 95129. ON SITE SALE HOURS: 10AM-6PM MON.-SAT., CLOSED SUNDAY. LARGE 17,000 square foot location with HUNDREDS of fixtures & equipment, including LOZIER Gondola Store Shelving, 24-door Glass-front Walk-in Reach-in Commercial Cooler & Freezer with remote compressors, LOZIER FLEX Rx Pharmacy Shelving (modern, view-through style), Ice Cream Dipping Cabinet Freezers, Stainless Steel Food Prep Sink and Counter, Check-out Counters, Candy/Snack Impulse Racks, Back Room Shelving & Equipment, Stock & Price Carts, Employee Break Room & Office Furniture, Rx Pharmacy Counters, Rx Pharmacy Security Gates, Store Cash Safe, Miscellaneous Display Fixtures, MORE. CLICK HERE to view MURRIETA CA FIXTURE PHOTO BROCHURE. STATUS: HURRY IN, OPEN to the PUBLIC NOW for 7 DAYS ONLY! MARKET AREA: INLAND EMPIRE / Southern CA Area. 40640 California Oaks Road, MURRIETA CA 92562. ON SITE SALE HOURS: 9AM-7PM MON.-SAT., 10AM-4PM SUNDAY. On-site Sale STARTS at NOON on TUESDAY, JAN. 15 2019. STATUS: On-site Sale STARTS at NOON on TUESDAY, JAN. 15 2019. On-site Sale Starts at NOON on FRIDAY JAN. 11, 2019. On-site Sale STARTS SOON — JANUARY 2019. STATUS: On-site Sale Starts at NOON on FRIDAY JAN. 11, 2019. CLICK HERE to view San Francisco CA Area FIXTURE PHOTO BROCHURE. STATUS: On-site Sale STARTS SOON — JANUARY 2019. MARKET AREA: San Francisco Bay CA Area. ADDRESS: TO BE ANNOUNCED as details are finalized. HURRY IN, On-site Sale NOW IN PROGRESS. * Other Upcoming Locations To Be Announced. LARGE 19,000 square foot location with THOUSANDS of fixtures & equipment including “LOZIER” brand Gondola Store Shelving (grey color), 3-door Stand-alone Self-contained Glass-front Commercial Cooler & Freezer Merchandisers, Ice Dipper/Dipping Cabinet Freezer, Stainless Steel Food Prep Counters & Sinks, LIKE NEW Rx Pharmacy Shelving, Check-out Counters, Candy/Snack Impulse Racks, Back Room Shelving & Equipment, Stock & Price Carts, Employee Break Room & Office Furniture, Rx Pharmacy Counters, Rx Pharmacy Security Gates, 2-door Double Combination Safe, Electric Belt Conveyor System, Miscellaneous Display Fixtures, MORE. 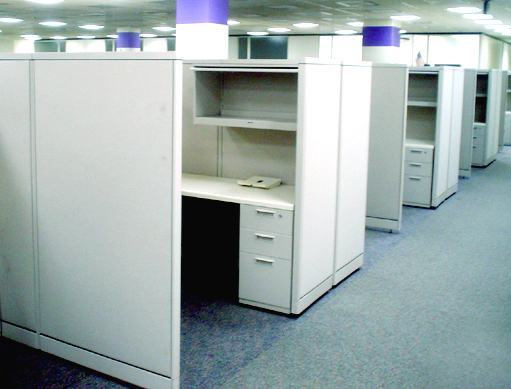 View BUENA PARK CA (Los Angeles/Orange County area) Fixture & Equipment PHOTO BROCHURE here. STATUS: HURRY IN, On-site Sale NOW IN PROGRESS. 8998 Knott Ave., Buena Park CA 90620. SALE HOURS: Open 9AM-7PM Monday-Saturday, 10AM-4PM Sunday. MARKET AREA: Orange County Area. LARGE 10,000 square foot location with THOUSANDS of fixtures & equipment including “LOZIER” brand Gondola Store Shelving (beige/platinum color), 3-door Stand-alone Self-contained Glass-front Commercial Cooler & Freezer Merchandisers, UNIWEB Rx Pharmacy Shelving, Check-out Counters, Candy/Snack Impulse Racks, Back Room Shelving & Equipment, Stock & Price Carts, Employee Break Room & Office Furniture, Rx Pharmacy Counters, Rx Pharmacy Security Gates, Retail Store Safes, Miscellaneous Display Fixtures, MORE. View Cleveland OH Fixture & Equipment PHOTO BROCHURE here. 15105 Saint Claire Ave., Cleveland OH 44110. MARKET AREA: Cleveland OH/Cuyahoga County area. HUNDREDS of fixtures & equipment including Gondola Store Shelving, 2-door or 3-door Stand-alone Self-contained Glass-front Commercial Cooler Merchandisers, Rx Pharmacy Shelving, Check-out Counters, Candy/Snack Impulse Racks, Back Room Shelving & Equipment, Stock & Price Carts, Employee Break Room & Office Furniture, Rx Pharmacy Counters, Rx Pharmacy Security Gates, Retail Store Drop Safe, Milk Cooler, Conveyor System, Back-up Generator, Miscellaneous Display Fixtures, MORE. View OXFORD PA (Lancaster PA area) Fixture & Equipment PHOTO BROCHURE here. 46 South 3rd St., OXFORD PA 19363. SALE HOURS: Open 9AM-7PM Monday-Saturday. PLEASE NOTE: This location is CLOSED on Mother’s Day, SUNDAY 5/13/18. MARKET AREA: Lancaster PA Area. On-site Sale Starts FRIDAY May 11, 2018 at 9AM. STATUS: On-site Sale Starts FRIDAY May 11, 2018 at 9AM. SALE HOURS: Starting 5/11/18, open 9AM-7PM Monday-Saturday, 10AM-4PM Sunday. HUNDREDS of fixtures & equipment including Gondola Store Shelving, 2-door or 3-door Stand-alone Self-contained Glass-front Commercial Cooler Merchandisers, Rx Pharmacy Shelving, Check-out Counters, Candy/Snack Impulse Racks, Back Room Shelving & Equipment, Stock & Price Carts, Employee Break Room & Office Furniture, Rx Pharmacy Counters, Rx Pharmacy Security Gates, Retail Store Drop Safe, Conveyor System, Back-up Generator, Miscellaneous Display Fixtures, MORE.